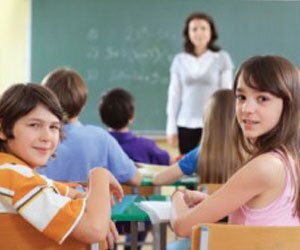 Hertz Furniture, the premier school and office furniture supplier, recently uploaded a new educational video to its School Matters Blog: Communicating with Students after a Natural Disaster. With the goal of helping students feel safe after Hurricane Sandy, the video examines various ways in which natural disasters may affect students. Among the issues discussed are feelings students might experience in the wake of a deadly storm (e.g., fearful, vulnerable, uncertain about the future), reactions teachers should anticipate in the classroom, and strategies on how to effectively communicate with students to help them feel safe in the wake of a major disaster. The video was created by Kate Cohen, Hertz Furniture School Matters Video Blogger. Ms. Cohen specializes in writing educational materials, holds a Masters degree in elementary education and in social work with a concentration in clinical practice in schools, and has worked as a social work intern and classroom teacher in the New York City public school system. In addition to the new video, other posts on the School Matters Blog hosted by Hertz Furniture address current educational topics such as technology in the classroom, bullying, school reform, and more. "I encourage all teachers, principals, school administrators, and parents to watch our latest School Matters Blog video, which explores the impact Sandy may have on children and addresses strategies on how to help them restore a sense of safety and calm during these tumultuous times," says Hertz Furniture President Saul Wagner. "Thousands of families were uprooted from their homes during the storm. It is imperative that we make classrooms and schools a safe place again as soon as possible and that we help children express and cope with how they are feeling." Hertz Furniture's Sandy Relief Program, available through Thanksgiving, offers a 20% discount and QuickShip services on almost 1,200 school and office furniture items from Academia, AmTab, Eurotech, NPS, OSC, and ScreenFlex. The offer is open to schools and businesses affected by the storm in NH, RI, MA, CT, NY, NJ, PS, DE, MD, DC, VA and WV, and is available by phone order only. To receive the discount, customers can call the Hertz Furniture Sandy Relief phone number at 888-793-4999 or contact their local Hertz Furniture representative.